So viele starke Songs auf einer (!) CD von einer Newcomerin. Hut ab!<br>Jetzt, nach ein paar Jahren muss ich auf eine 5 runter. Beim nochmaligen Anhören fällt die zweite Hälfte der Scheibe doch deutlich (!!!) ab. Durchweg gutes Album und künstlich ist sie ja nun überhaupt nicht. <br>Dass sie live die Töne nicht trifft, stört mich überhaupt nicht, weil sie ja nicht live in meinem CD-Spieler sitzt (kleiner Scherz am Rande). 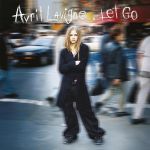 Let Go est une belle découverte<br>Avril Lavigne a une belle voix (en studio),<br>elle apporte un brin de fraîcheur féminine dans l'univers punk-rock alternatif<br><br>Quelques chansons sont plus remarquables que d'autres, car elles portent une certaine fragilité, comme "I'm with you", "Mobile", "Tomorrow"<br><br>Et bien sûrs, ses premiers tubes s'y trouvent : "Sk8er Boi", "Complicated"<br>Mais ce ne sont pas ces hits qui font la beauté de cet opus.<br><br>En conclusion, je dirai que c'est un achat profitable pour ceux qui aiment passer du rire aux larmes. ist nach wie vor ihr bestes album, besonders die songs "losing grip" "i'm with you" und "unwanted" gefallen mir. <br>"complicated" kann ich wirklich nicht mehr hören, und "sk8er boi" zähle ich zu meinen persönlichen hass-songs.<br><br>ist den kauf aber sicher wert! This was a great debut album that showed great variation and promise. Avril was able to portray the rock chick well, but I prefer the numbers where she really shows off the sweetness of her voice (like in Tomorrow and Anything But Ordinary). I liked this at the time but appreciate it more now considering the recent version of Avril that we have.<br><br>Decent album and her best to this date. Standout tracks: I'm With You, Complicated, Tomorrow, Anything But Ordinary, Losing Grip. Fantastic album, makes me feel very nostalgic. <br><br>1. Losing Grip - Fantastic opener, one of Avril's rockiest songs.<br>2. Complicated - One of the BOAT songs. Real emotion, sound very truthful. Very relatable.<br>3. Sk8er Boi - Feels like Avril is very much te guy mentioned in this song. Great as well.<br>4. I'm With You - One of the best ballads of the 2000's.<br>5. Mobile - Love this. Not as memorable as some others though.<br>6. Unwanted - Another great song but wouldn't have worked as a single.<br>7. Tomorrow - Good but not great.<br>8. Anthing But Ordinary - Aaahhh great song. Love this so much, one of the gems of the album.<br>9. Things I'll Never Say - How did she write so many good songs at such a young age?<br>10. My World - Good but not as good as the songs before it.<br>11. Nobody's Fool - Fantastic, like her 'rapping' at the start.<br>12. Too Much Too Ask - Love this one. Great chorus.<br>13. Naked - Wish this was switched with TMTA because i feel like that would've been a better closer.